With over 100,000 followers on Instagram, and a popular personal blog to maintain, Kat Farmer is a very busy woman. 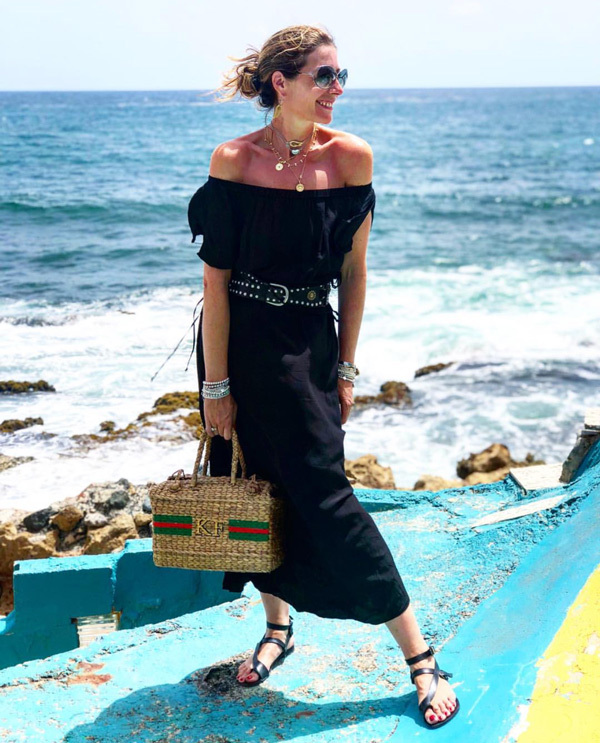 One of a growing number of midlife Instagrammers, she’s used social media incredibly effectively to build her brand, get her name out there and carve a new career path. Not only is her story inspiring for thousands of women, her wardrobe is too. 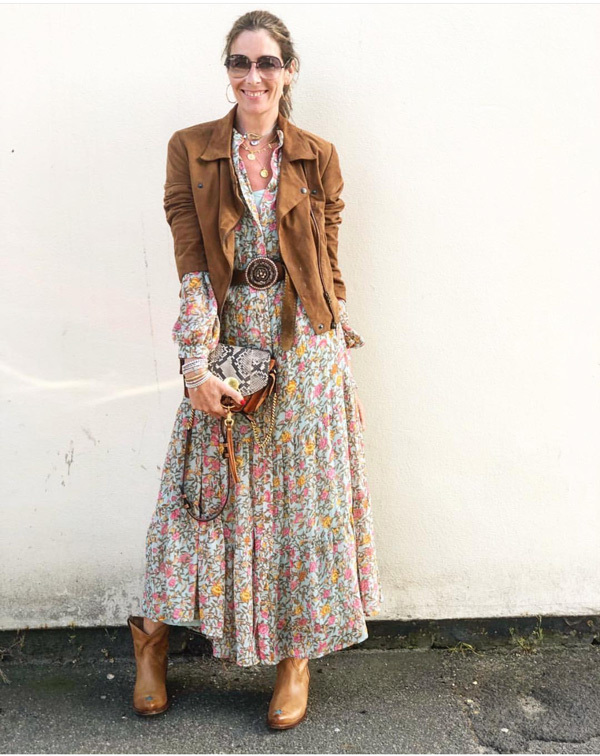 Aimed at women in their 30s, 40s and older, Kat Farmer’s outfits are often selected from the high street and are designed to reflect her role as a mum and a professional. 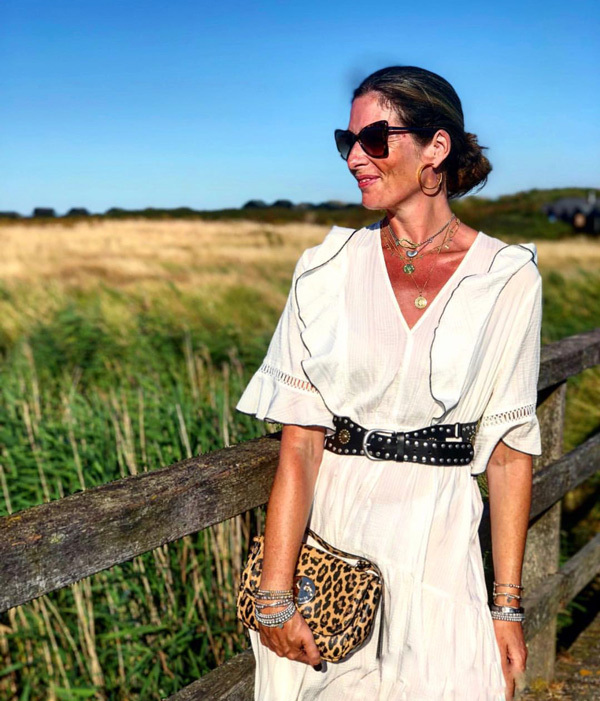 A long-time supporter of Bianca Jones Jewellery, Kat Farmer can often be seen wearing our eye-catching designs in her Instagram posts. To find out what else Kat has been wearing recently, we’re taking a closer look at her story. Six years ago, the then 39-year old Kat Farmer found herself with a lot more time on her hands when her youngest child started school. In order to make the most of her new-found freedom, she started a blog and began posting fashion shots on Instagram. Within just a few short months, Kat had thousands of followers. 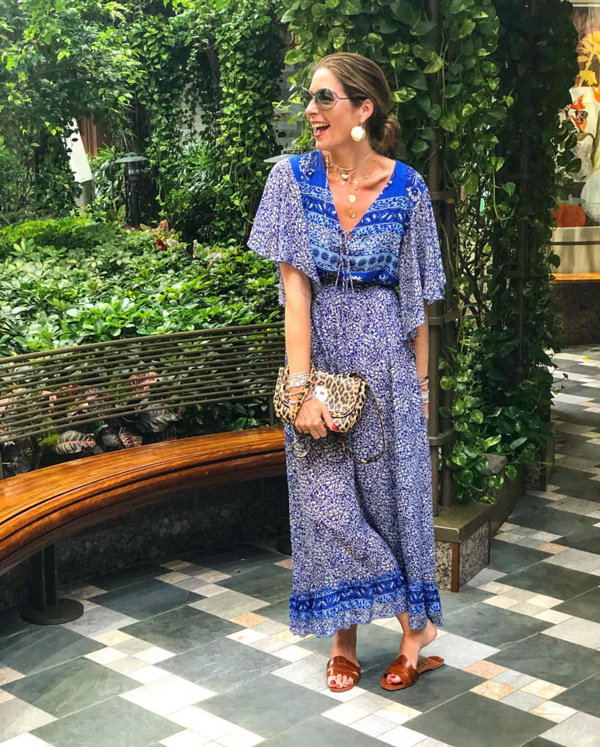 Over the years, this number has steadily grown with tens of thousands of people now being inspired by the blogger every day. 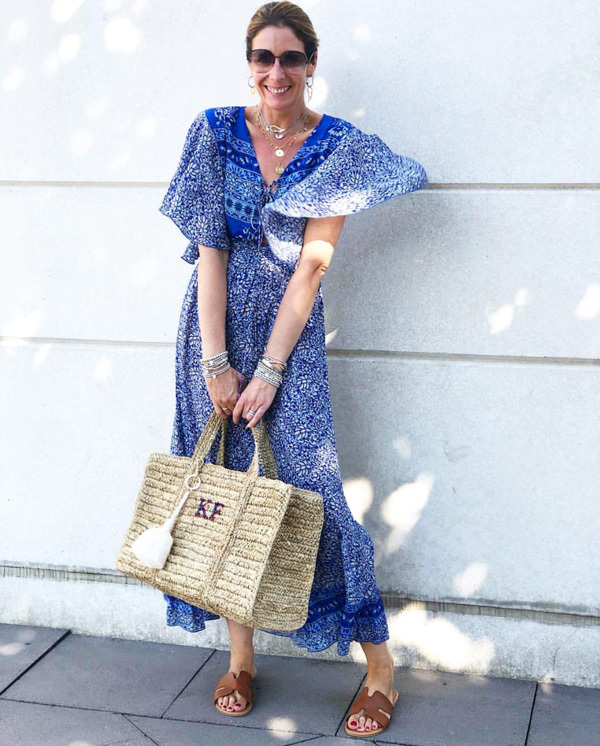 The goal of her blog is to encourage women aged 40 and over to rediscover their style and experiment with their wardrobe. 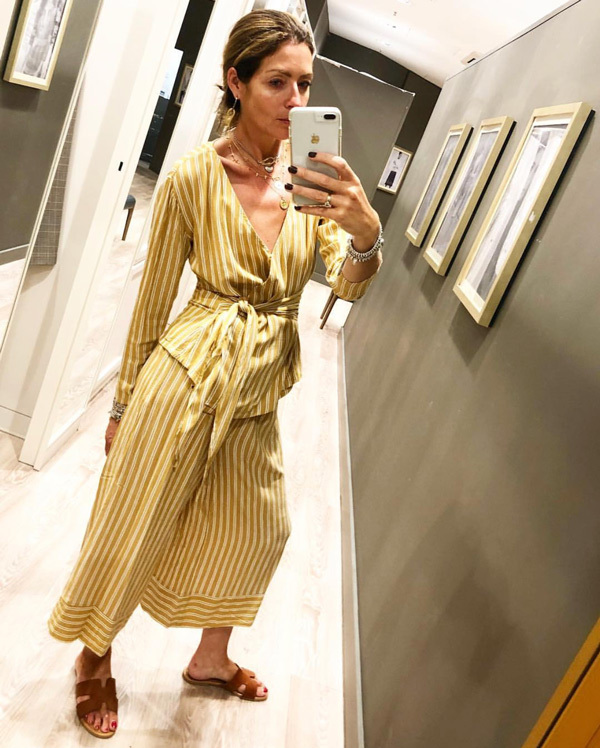 Featuring specially selected products from both high street brands and bespoke designers, the blog is a great place to get ideas for your new wardrobe. 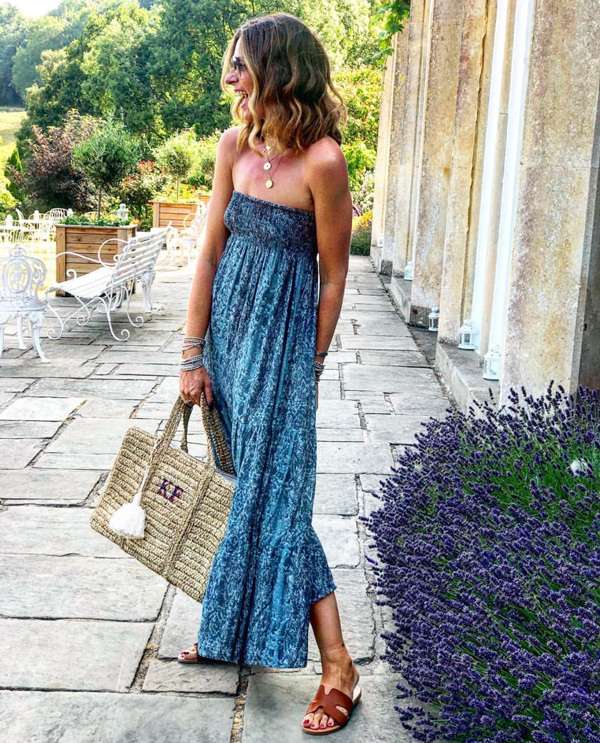 One of the reasons that Kat Farmer’s blog and Instagram profile have grown so quickly in popularity is that the blogger has undertaken a number of paid partnerships with well-known brands. 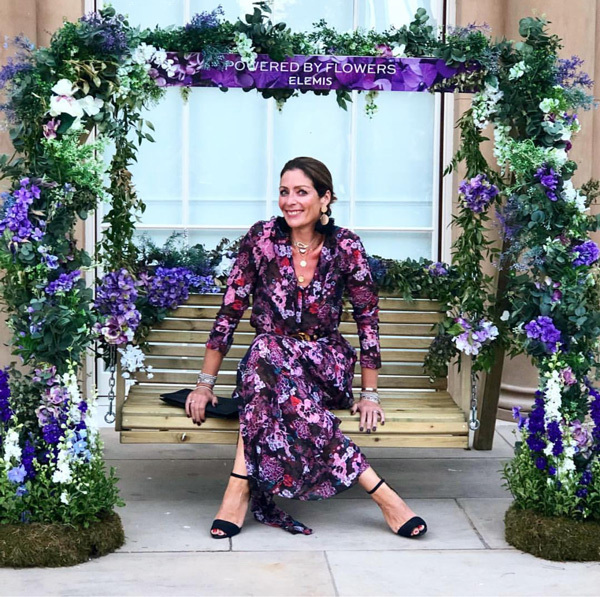 Companies like M&S, House of Fraser and La Redoute have helped to raise her profile and have brought her to the attention of fashion fans around the world. Although eclectic, Kat Farmer’s look is generally smart and stylish. Ideal for both the home and office, Kat has drawn inspiration from a wide range of sources in order to create a style that’s unique to her. 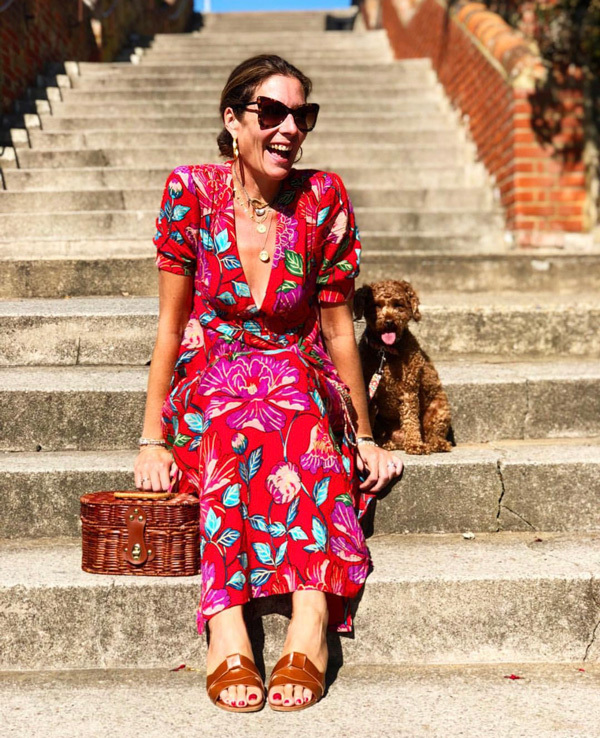 Bright colours often feature in her outfits, especially when the blogger is on holiday in exotic locations. Back in the UK, greens, yellows and navy blues are the most common shades to appear on her social media profile. Kat Farmer is a big fan of our beautiful Compass collection. 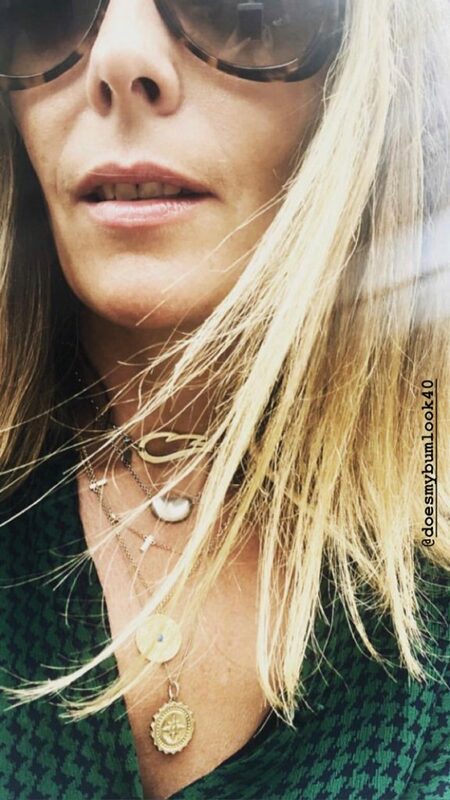 She has a necklace personalised with her initials and a bespoke message and this can often be seen alongside her other favourite pieces of jewellery. Learn more about our unique Compass Collection, and the bloggers, influencers and stylists who love it, by exploring our site today.